Can I Lose Weight Without Going on a Diet? There are some simple changes that you can make to your diet to reduce the amount of calories that you eat and to eat more healthily. 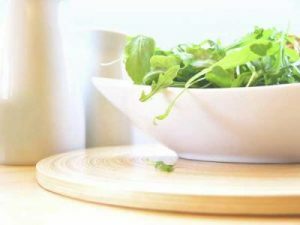 Eat from a smaller plate and try to eat more slowly – if you eat too quickly, your body will not have enough time to feel full and so you will tend to eat more food than you need. Try to learn to recognise when you feel full so that you don’t eat more than you need. Try to divide your plate into 4. Half your plate should contain vegetables and fruit, a quarter protein such as meat, fish, chicken or eggs and a quarter carbohydrate such as pasta, rice, grains or potato. Eat more oily fish. At least 2 portions a week are recommended. Oily fish is salmon, mackerel, sardines and pilchards which contain plenty of omega-3 fish oils. Increase the amount of fruit and especially vegetables that you eat as these will fill you up and are usually lower calorie than other foods. Try to eat a range of different coloured vegetables because these contain different vitamins and minerals. Aim for at least 5 portions a day of fruit and vegetables. Try to increase the amount of whole grains in your diet for example switching from white bread and pasta to wholemeal and from white rice to brown. Wholemeal foods may make you feel fuller and contain higher amounts of fibre. Reduce the amount of fat in your diet, especially saturated fat which is found in butter, red and processed meat, biscuits and cakes. Switch from full fat milk to skimmed or semi-skimmed milk as these have fewer calories and contain the same amounts of calcium. Try to cut down on high fat foods such as sausages, chips, takeaway and fried foods and think of these as treats rather than everyday foods. Reduce the amount of sugar in your diet. Sugary foods such as cakes and biscuits often also contain a lot of fat and so have a lot of calories. By reducing the amount of sugar in your diet, you can often also reduce the amount of fat too. Try switching from sugary cereal to one without added sugar. Try fruit such as a banana on top of your cereal instead of sugar or honey. Try water, tea without milk or diet drinks instead of drinks with added sugar and don’t drink too much fresh fruit juice as this also has lots of sugar. A glass a day is plenty. Drink more water and unsweetened drinks as these will help to make you feel less hungry. At home try not to eat standing up. It’s very easy to grab high calorie snacks such as a handful of nuts without thinking. Try to put everything you are eating on a plate and this can help reduce snacking.